SWPP is proud to provide books on various topics around workforce management. All our books are listed on this page and are available in our online store. This book is designed to communicate the importance of contact center staffing to the entire enterprise. Every department within the company has a role to play in getting the right number of people in place to handle the customer contacts in a timely and quality manner. And each department will be affected when the center is understaffed. It takes a united effort to achieve the organization’s goals. 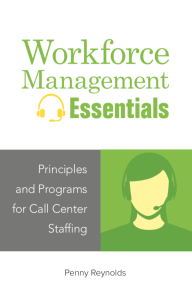 This book is designed to help contact center supervisors understand the workforce management process and their role in supporting the overall staffing plan, including how to effectively communicate and coach frontline staff on schedule adherence and the importance of individual contributions to service delivery. 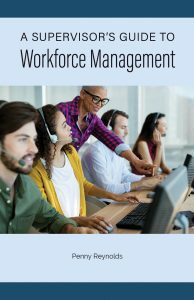 This book is designed to assist in the recruiting, hiring, training, measuring, and management of a workforce management team that contributes to overall enterprise success and the effective management of the contact center. This book is designed to help call center workforce management professionals plan the right number of staff and communicate the important principles of staffing to all call center stakeholders. 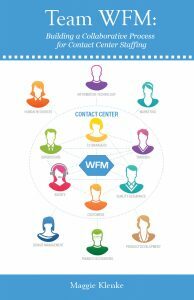 Don’t miss the second edition of this great book, which is a compilation of the knowledge of SWPP, the world’s largest membership association for workforce management professionals in the call center. 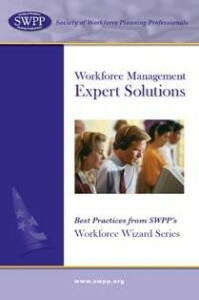 In each SWPP newsletter, there is a column titled Ask the Workforce Wizard. All of the questions in the column come from workforce management professionals, each of them struggling to do the same thing: get the exact right number of “bodies in chairs” for each period of the day. All of the answers come from other workforce management professionals and a few consultants and experts in the field who are kind enough to share their experiences with their colleagues. 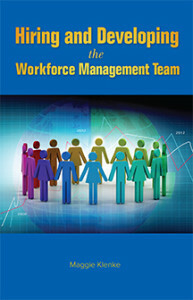 This book is one of the many tools provided by SWPP to support workforce planning professionals around the world. There are three distinct levels of membership in the SWPP.